The Guardia Civil have swooped on 11 young men and arrested them for a spate of break ins and robberies across the Garrucha, Vera and Turre regions. The gangs would break into homes, warehouses and cortijos to strip them bare, even down to the copper wiring in the walls. At least 21 crimes have attributed to the gang, who after coming across a stash of air guns and hunting shotguns in one of their early breakins used the weapons to defend themselves in later robberies. One man who surprised the gang when they were emptying his cortijo was shot with an air rifle and injured. The gang also used the weapons to shoot guard dogs, and have been charged with four counts of animal cruelty. The Guardia Civil followed the trail after a large amount of scrap metal was sold to a dealer in Cuevas, who was suspicious about the precedence of the material and called the police. The Guardia discovered that the material came from a cortijo that had been stripped bare, even down to the copper wiring of the electric installation, and proceeded from there. The gang quickly collapsed as police raided home after home, finding money, electric items and stolen goods from their raids. All are young Spanish men ranging from 19 to 31 in age, living in Garrucha, Vera and Cuevas. 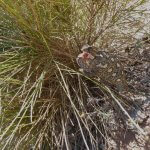 This entry was posted in Blog and tagged break in, cuevas, garrucha, guardia civil, robbery, turre, vera by David. Bookmark the permalink.